West Yorkshire is set to welcome new SMART ticketing on public transport as contactless continues to take over as the main payment method used on buses and trains. ITSO, the organisation that manages the specification used by transport providers to implement SMART ticketing schemes, is planning to run a mobile trial that will enable passengers to pay for their journey via a smartphone app. Working with SMART technology suppliers to the industry Rambus to support the West Yorkshire Combined Authority (WYCA), the trial will commence late this Autumn and will operate on train lines between Leeds and Huddersfield where ITSO-configured technology already exists. The new technology will utilise Host Card Emulation (HCE), an approach used widely within the payment industry to enable software emulation of a traditional smartcard on a mobile phone. Combined with the introduction of a new app, this will enable passengers to purchase a ticket directly to their mobile phone and that device will then act as the “host” for that ticket. When passengers need to enter through a barrier, the NFC facility communicates with the card reader to enable automatic recognition of the purchased ticket, in exactly the same way a smartcard works. SMART ticketing is one of Transport for the North’s main targets as it looks to boost economic growth and improve passenger travel in the region. 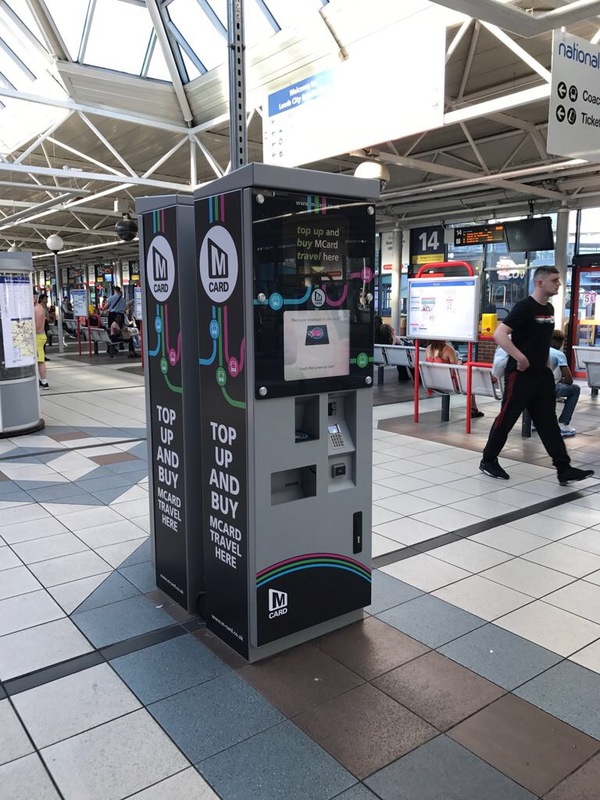 In recent years Cammax have teamed up with the WYCA to roll-out a number of SMART ticketing initiatives, including the instillation of ITSO-enabled kiosks at the new Elland Road and Temple Green Park & Ride sites. Cammax have also worked with City of York council to help bring about faster and more convenient travel on the city’s bus network. Commenting on the new mobile trial, Cllr Keith Wakefield, Chair of the West Yorkshire Combined Authority Transport Committee, said: “Having been a leading player in the development of smartcard travel, through our MCard scheme, I am delighted the Combined Authority is a partner in this exciting pilot. “It has the potential to benefit customers across the north, and further afield and we believe that customers will welcome the opportunity to use their smartphone to purchase a ‘SMART ticket’”.